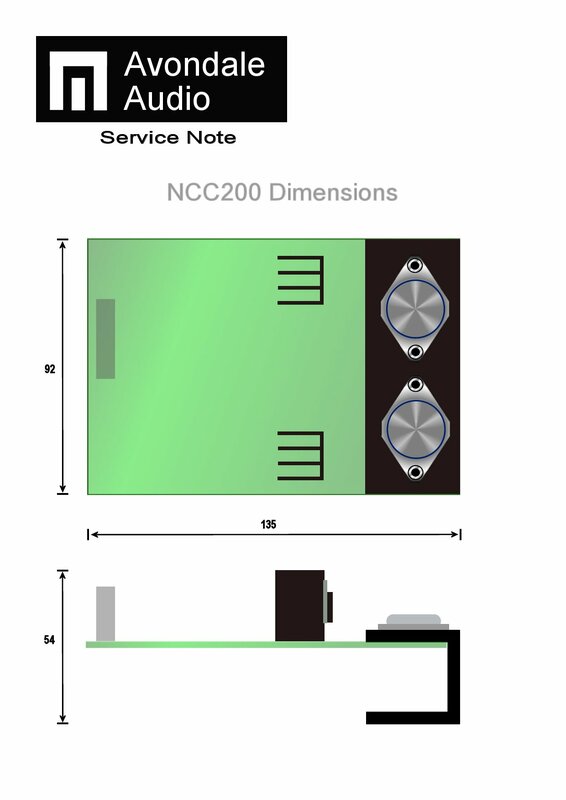 Development of the now legendary and much copied NCC200 module has at last now reached its full potential. Originally published in an RCA manual in the 1970s, the circuit was used by Naim Audio in a succession of well regarded amplifiers still being made today. 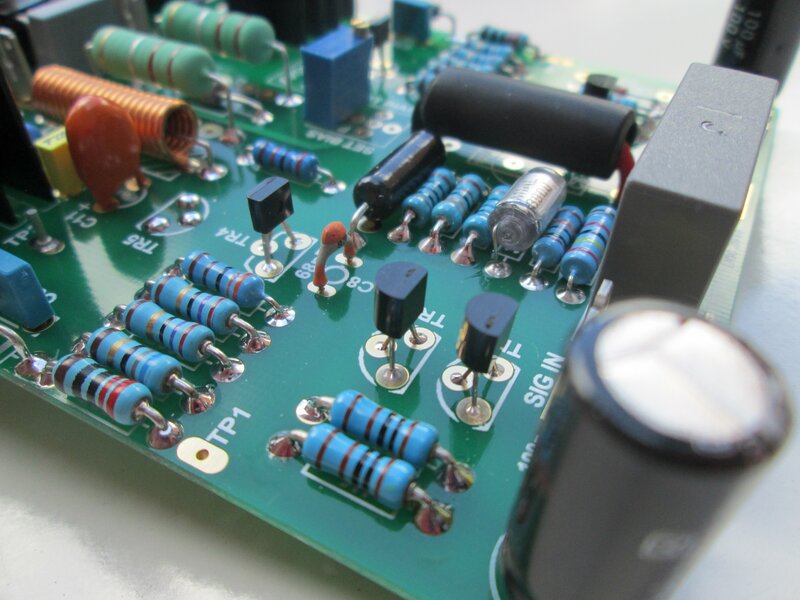 Les’s development of the circuit has been well received over many years with some 3000 NCC modules giving lasting pleasure in all corners of the audio enthusiasts world. The RCA circuit, conceived during the 1960s, was limited by the choice of transistors of the day. Output transistors to carry more than around ten Amps just did not exist and then only in NPN versions. The architecture of the RCA circuit is what is known as ‘Quasi – Complementary’ where one of the output devices is installed reverse biased, or to the layman – facing backwards. This requires adding certain elements to the circuit to ‘fool’ the driving circuits into believing they are providing a signal to a fully complimentary circuit. 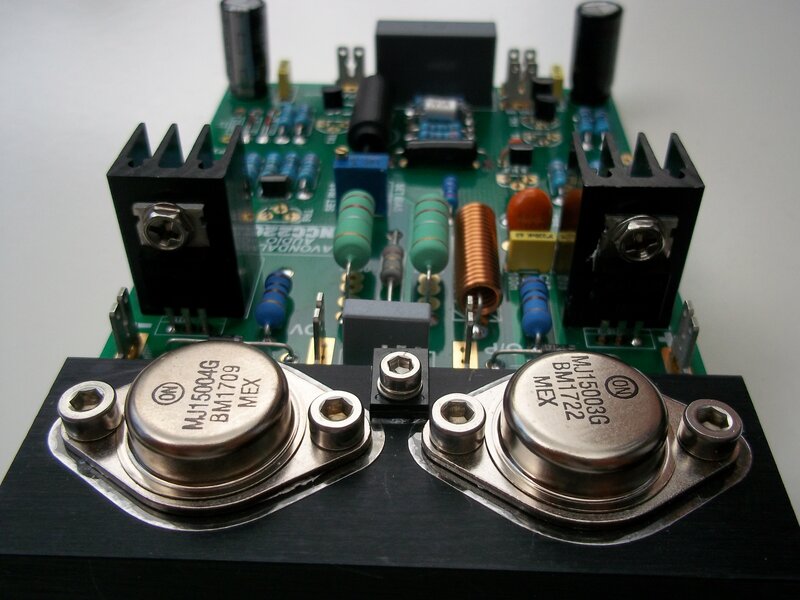 These extra bits of circuitry introduce a whole new set of problems in the amplifier’s performance and even more compensating bits and pieces have to be incorporated to ensure some semblance of a linear performance. Unfortunately, the perception is a slight artifice in the sound where a loss of detail along with a minor high frequency masking element is still evident. In recognition of the drawbacks of the RCA system, Les decided some years ago to move away from the shortcomings by designing out the logjam of the quasi comp architecture and replacing it by a fully complimentary output system – hence the Qudos modules now available. Utilising the best elements of the RCA circuit which have proved to be reliable over many years, Les added a conventional output pair of devices which enabled the removal of all the former compensation known to cause sonic aberration in the sound quality. 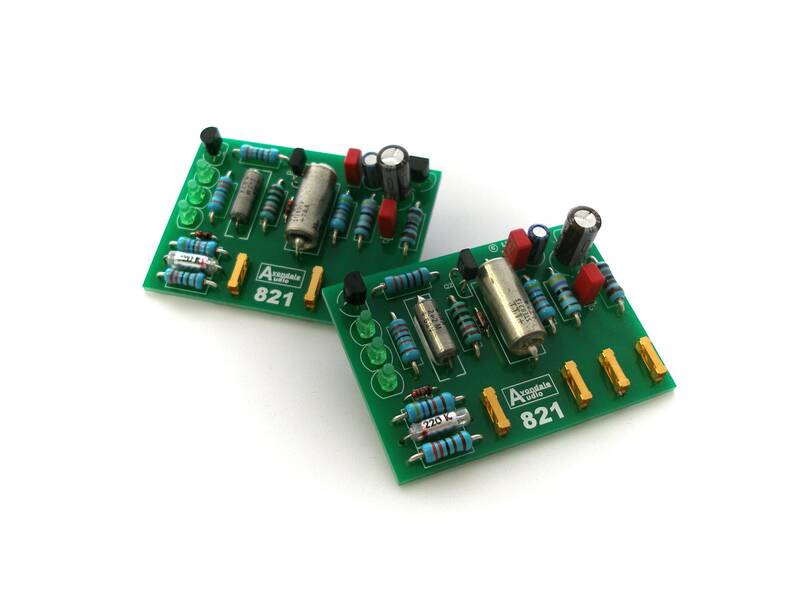 An entirely new printed circuit board with plated through component pads enabled each part to be soldered on both sides of the PCB, something rare in the audio field. Eliminating largely the possibility of any future dry joints has to be a plus for any owner in the long term. Gold plating the PCB avoids the risk of corrosion causing faults again, reliability being the criteria here. With an expected service life of well over 30 years without the need for ritual visits to the manufacturer, the owners of these beautifully built and presented modules may sit back in confidence and enjoy the sounds. Compliments on the sound quality of the Qudos just keep rolling in as the list of users grows by the week. 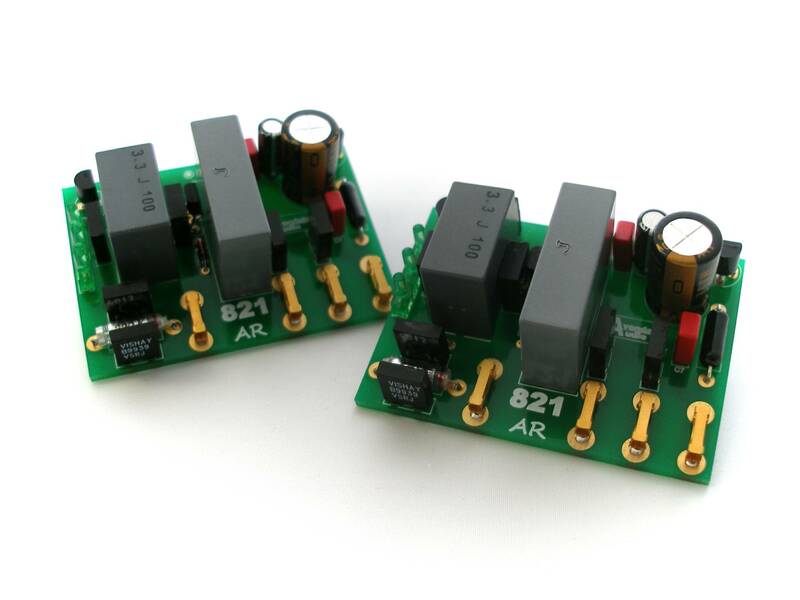 Available, as customary, on a 30 day sale-or-return basis, these represent a simple plug-and-play module – a direct replacement for most Naim power amplifiers and as easily fitted as a 13A plug for most owners. 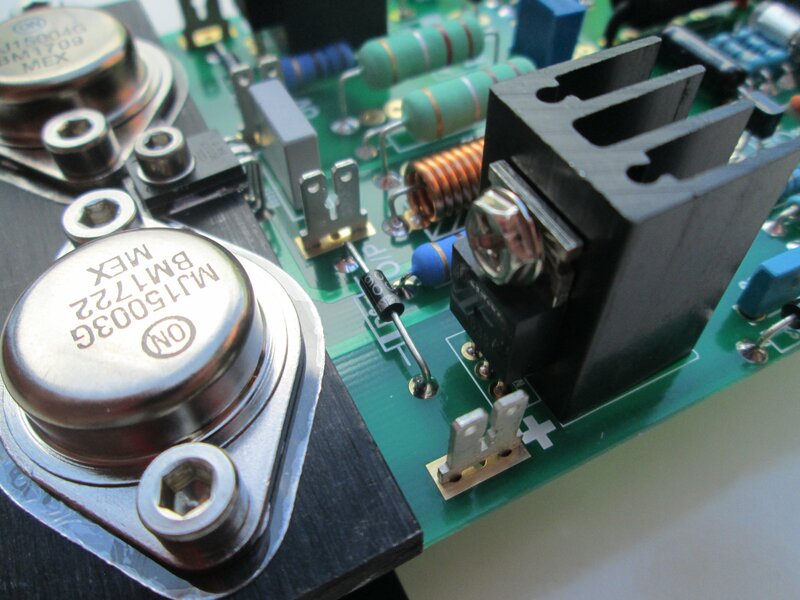 Primarily designed as a drop-in replacement for the NAPA modules when upgrading Naim amplifiers, the NCC200 has found a use in many self build projects and for which, the stability, reliability and ease of installation (only one simple adjustment), have made this module a DIY favourite all over the world. The difference in clarity and bass performance of the NCC when compared to the original NAPA modules is an experience which surprises everyone who sits in front of an amplifier so equipped. Listeners report being able to hear much deeper into the mix particularly when the going gets a bit busy. The lower registers, whilst being capable of portraying the timbre and texture of the instrument making the sounds in the recording, have much less impact on the rest of the audio frequency. The NCC200s are unconditionally stable which enables the use of any brand and length of loudspeaker cable thereby widening the choice for the enthusiast. The characteristic Naim ‘hiss’ noticeable when close to the loudspeakers is totally absent when the NCC200s are in use. NCC200 listeners report that the traditional pace and rhythm is retained whilst noting that the fatiguing aspects of Naim’s own boards have largely disappeared – leaving more of the music to be enjoyed. 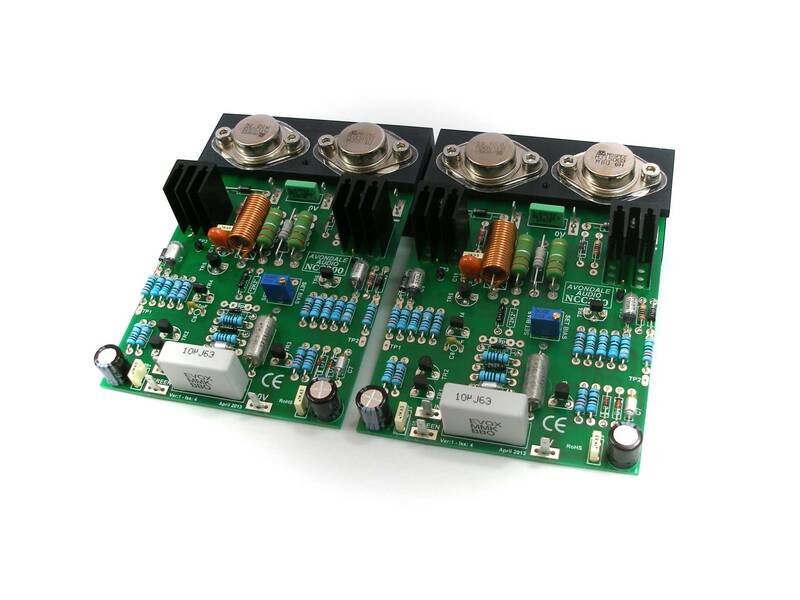 Capable of delivering just over 100 Watts with suitable heat dissipation, this favourite module may be configured to run from +/-30V DC up to +/-50V DC supplies according to output requirements. 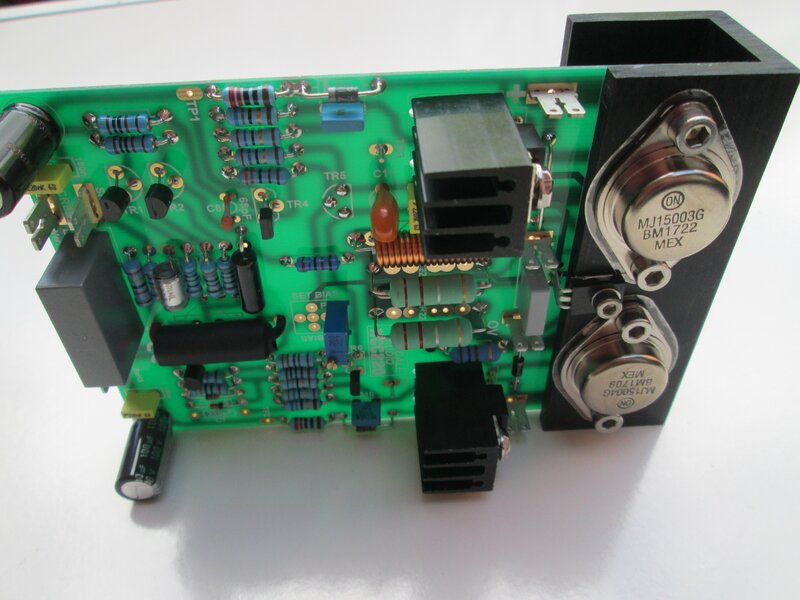 The NCCs come ready built and tested with every jot of information necessary to install and simply set up the module. Complete with fixing screws (stainless of course), wiring terminals and thermal paste, you will lack for nothing when you bring together a state-of-the-art amplifier to be proud of. Should the unthinkable happen and you reach an impasse, you can rest easy in knowing that Avondale Audio’s legendary service will come to the rescue. Made for the Naim NAC32, NAC32.5 and NAC72 models as well as our own Avondale 821 Preamplifier. The latest incarnation of the unique Avondale Audio zero feedback, single ended, transconductance design. The circuit, designed by Les Wolstenholme, is a revised version of that used in the well-known and revered ‘Graduation One’ GRAD1 preamplifier. Here, it has been adapted so as to be suitable for owners of Naim Audio preamplifiers who desire the highest level of musical clarity that these excellent preamplifiers can achieve. In considering the output levels of most modern source components, the 821s provide more of a match than the over-sensitive 321 modules fitted to the Naim pre-amps. In reducing the 821 overall gain to around three, the user then has finer control over the volume level. The high gain and heavy feedback of the original 321 modules produces an intrusive ‘hiss’, audible in some cases from the listening position. The 821s have no such problem – they are almost totally silent and the bonus of having no global feedback means that transients are handled with consummate ease allowing a deeper insight into the music. Drawing upon a wealth of knowledge and experience Avondale Audio has taken this deceptively simple circuit to an audibly higher plateau of performance. A brand new edition of the unique Avondale Audio zero feedback, single ended, transconductance design. The circuit, designed by Les Wolstenholme, is a simplified version of that used in the well-known and revered ‘Graduation One’ preamplifier. This edition of the best selling 821 has been specially voiced for owners of Naim Audio preamplifiers who desire a greater level of musical clarity than the existing 321 modules can attain. Drawing upon a wealth of knowledge and experience Avondale Audio has brought this deceptively simple circuit up to higher levels of audio performance, as well as managing to bring the price right down.